So, Criterion’s new Dodesukaden came out earlier this week, and the reviews have been coming in accordingly. Below, you will find a handful of (semi-)professional reviews of the DVD release. If you know of others, feel free to add to the list in the comments section! DVD Beaver calls the Criterion package a “must-own”, and pronounces it a clear improvement over the Mei-Ah version on every front. The video is described as excellent, the audio and subtitles really good, and the extras alright for the price range, with Stephen Prince’s liner notes specifically called “impressive”. 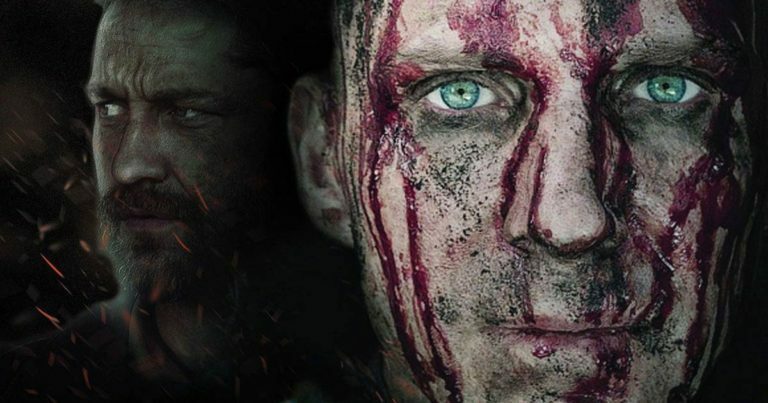 The reviewer furthermore loves the film itself, which as you will see is not necessarily the trend in this review round-up. 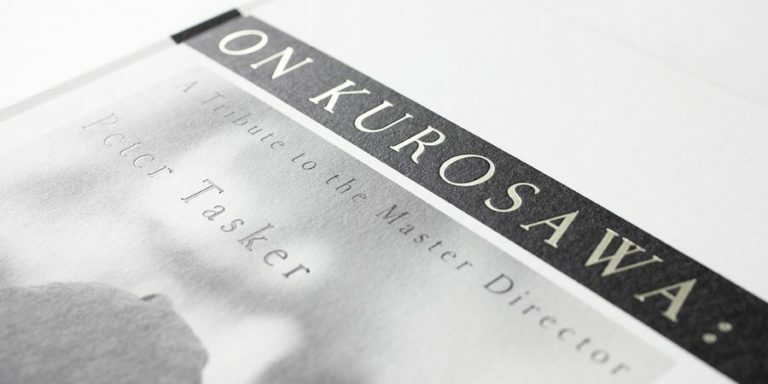 DVD Talk give a thumbs up for the video quality, an “ok” for the audio, and a cautious thumbs down for the content, calling the drama “overly-simplified and flat, favoring writ-large symbolism over subtle realism”, while noting the “odd beauty” of Kurosawa’s impressionistic colours. The DVD Town review echoes that of DVD Talk. It is actually interesting to note that both DVD Town and DVD Talk find the extras insufficient. Although the standard “It Is Wonderful to Create” episode is included, a commentary track would probably have gone a long way in boosting the release’s performance there. DVD Verdict pronounces the DVD “not guilty”, although noting that even if it holds “artistic value”, the film is one of Kurosawa’s weakest. More praise is lavished upon Criterion for the quality of their transfer. As a side note, while reviewer Roy Hrab writes well, I was a little disappointed not to see Stuart Galbraith review the disc, like he has so often done for DVD Verdict’s takes on Kurosawa releases. Greencine puts the film in the context of Kurosawa’s oeuvre, noting its place as an important harbinger to the works that would follow: “Dodes’ka-den is showy, but it points the way to Kurosawa’s later discipline in exploiting the gap between stylized ritual and emotion”. The Criterion transfer is praised, as usual. The Film.com reviewer seems to like the film, calling it “a haunting interior look at society’s outcasts, failures, and rejects” whose “smattering of social realism mixes deftly with a strange melancholic whimsy”. The transfer gets yet another enthusiastic thumbs up. See Kurosawa DVDs for more information about the availability of the film. This post has 17 comments. Join the discussion! My Criterion copy hasn’t arrived yet, but just looking at the screen shots posted at DVD Beaver and comparing them to the French Wild Side Films release http://www.amazon.fr/Dodeskaden-Collector-DVD-Yoshikata-Zushi/dp/B000F0H45O/ref=sr_1_4?ie=UTF8&s=dvd&qid=1238222892&sr=8-4, I think I prefer the picture quality of the French version. The contrast doesn’t appear as high and you can see much more detail in the picture. I’ll reserve my final judgement until I can compare both directly. I’ll try and post some of the same screenshots from the French release as displayed on DVD Beaver to let others compare. I have posted some screenshots comparing the French Wild Side Films version with the new Criterion. What do people think? You are right, Master Thief. The French release does look much better in most of those screenshots. Thanks for setting up the comparison! My copy of the Criterion version arrived today. I have had a quick scan of it and I very much prefer the French Wild Side Films version. Just the vibrancy of the reds, blues and yellows (which I assume was central to Kurosawa’s vision for the film) makes so much difference to the enjoyment of this film even allowing it was a struggle for me to follow the French sub-titles. I would very strongly recommend the Wild Side Films version as one to buy. Hey, Master Thief, thanks for the comparisons! Very interesting. Here’s my two cents: the higher-resolution Criterion image seems to be a new digitization from a fairly clean negative or print. The Wild Side version has the sofness of a second-generation or third generation image. But, where the Criterion dials down the white point (there don’t appear to be any blown-out highlights) the Wild Side gets a generally lighter palette-giveing the images an overall “feel”. I can completely see why you like the Wild Side version better. I, personally, though, remember seeing the film in a theatre-and the Criterion image of the man with his dying son reminds me of that original experience. I think the Criterion version is a bit uglier, darker-and I am allright with that. I agree cocskyavitch that the Criterion is from a lower generation source and I see your point about the darkness of the Criterion. The Wild Side Films version is softer. But I do strongly suspect that the vibrant primary colours as shown in the sake drinking screenshot for example may be closer to Kurosawa’s original film. It is a foretaste of the colour scheme in Ran. I too saw the film on a big screen when it first came out, but my recollection of the colour hues is not good. 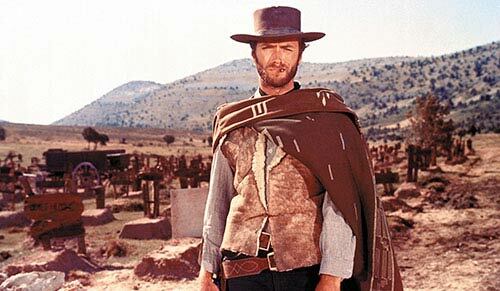 I will have another look at my Criterion Laserdisc copy and see how the colour is on that version and let you know. Bottom line though is I am very glad to have both versions of a film I fondly remember seeing in my youth. And, just know it’s not only you-I will have to say that nobody has good color recollection, as a general fact. They’ve done tests to see if people can recognize “Coca Cola Red” from a series of red hues presented, and the surprise is that, without having to reach way back in the memory banks, it still was quite difficult for people to pick the right one. I was at Yale studying color theory when they were developing the first online color theory programs as training for artists and designers…and took the “Coke Red” test…and failed, too! Partly that has to do with a dynamic that Joseph Albers called “the interaction of color”-meaning that your preception is based on proximity to other colors, size, saturation or intensity and value of the given hue. So, I can only THINK that the Criterion version is similar to what I experienced in the theatre…but I must confess that my memory likely fails! Thanks for the feedback cocskyavitch. Those of us who are not colour blind should be thankful that we can distinguish the reds, greens, oranges, purples, etc so that we can have this discussion. It’s Wednesday morning in New Zealand and I am listening to Bob Dylan sing “When I Paint My Masterpiece” from his Sunday night concert in Copenhagen as I type. I did watch some of the Criterion laserdisc last night. Again the laserdisc primary colours are more vibrant than the latest Criterion DVD and they are closer to the Wild Side Films version. The downside of the laserdisc, apart from the obviously lower resolution, is that they have bizarrely cropped the print to a 1.66:1 aspect ratio. But it is still very good compared to the MeiAh. Everything is good compared to MeiAh, but when that was the only thing I could get my hands on, I was grateful! Your day sounds fantastic, Master Thief! I’m very jealous! I just went though the new Criterion, and indeed as show by the DVD Beaver screen shots, is too what I see on my equipment. Although I do not have access to the Wild Side, but based on your website Master Thief, I prefer the Criterion edition more. While the color are not as vibrant, you get much cleaner image allowing better detail to stand out, and the color to blend naturally into each other from foreground to background. While the color issue may not be Kurosawa’s intention, having instead wanting vibrant colors that bold out for each other, in the Wild Side, it comes at the cost, giving soft focus and lowered detail resolution. Personally I’m not too keen on such high separations of color, and in this case nearly boarder the color high values from being simply blown out. I do not know however how Kurosawa intended color to be represented, but I would lean it being closer to Wild Side version, but surely not to the point of blow out and such high contrast. I think ideally you want a in between of the two versions, but again still think Criterion so choose the best means to represent the film, although to their discredit, it is far too hard looking, likely the sole result of working in entire digital enviroment after initial scan. Quite the same problems I saw in Seven Samurai, were the digital hardness ruining the aspects of film stock from the past. I own yet another release of this film: the Arte Video one. One may find a few screenshots on this french review site. It’s no longer sold, but might be found (at an expensive cost, probably) on second hand market. At this time, I think that Arte was the exclusive distribution rights owner for Dodesukaden in France, before Wild Side grasp them, and the latter have done a great job with Kurosawa’s œuvre (10 film releases, collector and light editions, 2 box sets of which a thematic films noirs), though not perfect (when I discovered that the collector edition of High and Low that I bought from them had not the pink smoke but a greyish one, I was sad :o). Your comparisons are interesting, Master Thief, I will put some links to these on my site, if you don’t mind. Unlike Jeremy, I’m far from being a cinema expert, but like him, and according to the comparison, I would prefer also the Criterion release, for better image precision and scope. Hi Fabian. Feel free to use my screenshots on your site. I was just re-reading the discussion from some time age that we had on the HD version of Ran and noted these comments from Vili which I think are relevant to this discussion of the Criterion vs Wild Side Films versions of Dodes’ka-Den. The review raises up an interesting question regarding the colours. I seem to remember Kurosawa remarking somewhere that when he saw the final cut of Ran he wasn’t entirely happy with the greens, and was hoping that they would have come out more vivid and vibrant. Hypothetically speaking, then, what should we consider the definite version of Ran in terms of colours? 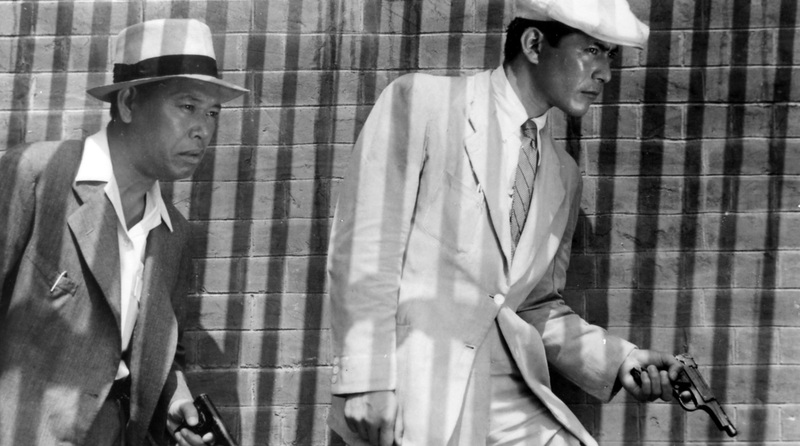 Could the Canal’s more vibrant HD-DVD version, then, be closer to Kurosawa’s intended vision? I am not a huge hi-fi enthusiast (I’m perfectly ok with non-HD image and mono sound), and while I am therefore the first to suggest that in most cases questions like these are ultimately quite meaningless, I’m not so sure if I can hold that opinion in the case of Kurosawa. We all know his perfectionism, especially when it came to colours. Colours in his films tend to have strong meanings associated to them, and therefore, getting the colours wrong in a Kurosawa release may well be as big a blunder as mistakenly leaving out a scene from the narrative. Never mind this post, I didn’t like what I wrote. This is a great site! I only just recently discovered it. I’ve been a Kurosawa fan for many year, but am nowhere near the Kurosawa/film scholar that many of the other people commenting on this site seem to be. Akira Kurosawa’s first color film, Dodes’ka-den, bursts onto the screen with painterly composition. Unlike the stark realism of Kurosawa’s post-war films leading up to this point, here he uses color to paint a bold, expressionistic picture. This style foreshadows his late masterpiece, Dreams. Dodes’ka-den is set in an urban slum and follows the lives of the people who live there. There’s no plot, just scenes from life. It’s not always easy to watch, but it’s not without hope. The residents conduct themselves with dignity through the difficult circumstances of their lives. I found many of the characters to be endearing. By the end of the film I didn’t want my time with them to end. 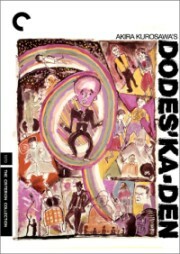 The featurette included by Criterion on the new DVD release of Dodes’ka-den provides insightful information to put this unique film into the context of Kurosawa’s career. The struggles of the people in the film seem to parallel challenges the director faced during this period. Just as the characters imagine a better a life for themselves, Kurosawa needed to re-imagine himself as a filmmaker. Dodes-ka-den marks a bold new direction in the oeuvre of one of cinemas most celebrated creators. The visual style almost make it seem as if these events are unfolding in some barren part of our subconscious. This film is both a feast for the eyes and heart-wrenching to watch. It finds beauty in the mundane. Above all, Dodes’ka-den is a deeply human work of art. That’s a very nice introduction to the film, er216. Thanks for sharing! Do you get many people renting Dodesukaden, or Kurosawa’s films in general? The store I work at is part of a locally owned chain in Philadelphia. We specialize in art house and foreign films. In general Kurosawa rents pretty well and it seems to me like Dodes’ka-den has been out a good bit since it was released. Of course the majority of rentals are for mainstream Hollywood pictures, but we have a substantial following of dedicated cinephiles.